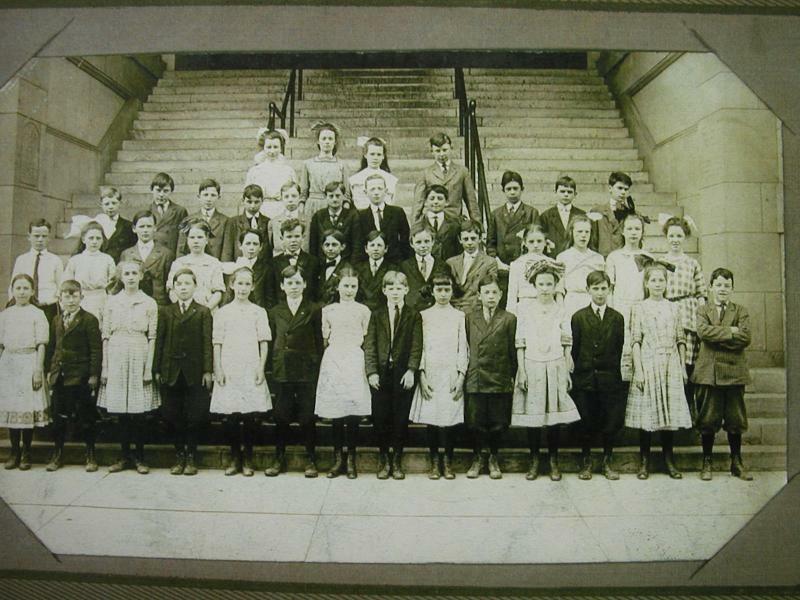 Comments: Garnett Bretsnider (Nee: ) | Pittsburgh PA United States | 1901-1920 | Comments: Class portrait from Catholic school in downtown Pittsburgh, circa 1910. Garnett is third from left in front row. Married name was Garnett Jacoby/Garnett Jakubiak.